Beard brush featuring pure boar bristles. Due to the special arrangement of pure boar bristles every single whisker can be brushed easily. The beard brush is especially suited for the grooming of full beards and longer moustaches. Moustache wax can be easily distributed for putting the beard into shape. 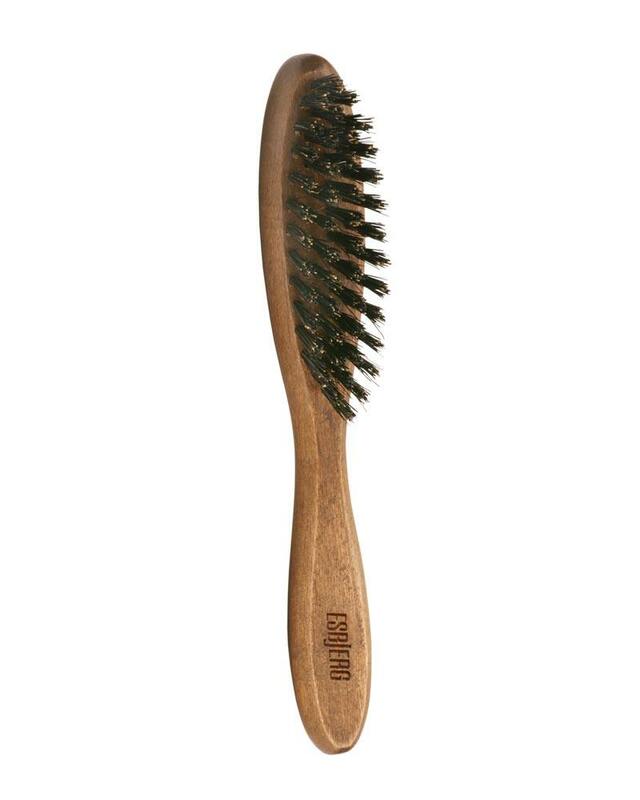 The large size of the brush handle facilitates brushing the beard. There isn’t anything better than pure boar bristles, because only pure bristles are able to absorb skin oil and to distribute all over the beard. That prevents the hair from drying out as well as scaling and stimulates blood circulation. Brush your beard as desired and to get him in shape.